Do these exist in this Laptop to start with? Yes. Look at the XPS 13 9350 Specifications document to see the features of that model. Click on "Specifications", the "Audio" to see that it has 2 speakers and a microphone array. Click on "Views" to see the location of the mic "array" (dual mics). Go to the XPS 9350 13 Support page/drivers and read the notice about the docking station. You can get drivers by clicking on Guide Me or I just use "Find It Myself", but you have to click on the blue "Change OS" button and select your operating system, in order to get the correct drivers. I would update the BIOS, the docking firmware and/or driver, and the Realtek audio driver. Thanks Jim I have updated the bios and drivers as suggested. It appears that the dock which is not a thunderbolt but the Dell UHD port replicator may override the laptop when it comes to microphone. As shown in the pic above it comes up as Dell USB audio not plugged in? There is no option for selecting internal microphones for some reason. Do I have to purchase a separate microphone with a USB plug in to the dock perhaps? Further when I check system device manager only the speakers are showing in the audio input output section? I googled that but couldn't figure out exactly what it is, under that name. If it is a usb device like one of Dell's usb-3 docks, then it would show itself in the Sound properties as a usb audio device, as in your screen shot. What I mean is this, the Realtek audio chip in your laptop is essentially a DAC (digital to analog converter) and a ADC (analog to digital converter). The chip converts the digital signal to analog, which goes out the headphone jack. But analog audio cannot go out over a usb connection, so to get to the usb replicator, it has to remain a digital signal. It only gets converted to analog inside the replicator, meaning that the replicator has its own DAC & ADC, separate from the laptop's Realtek converters. So it shows on the Sound properties as USB Audio, not Realtek audio. Not ever having used one of the usb replicators, I am not sure exactly what one would expect from it, but I would think that the Sound properties would show all of the audio devices in the overall system, not just the usb device. Go back to the Sound properties and right click in the blank white area under the usb Speakers listing, and check the boxes to show disabled and disconnected devices. The "Microphone -- Realtek High Definition" in the above screen shot would be the one to make the default device in order to use the laptop's mic array, or the laptop's headset jack mic function. When selected as the default device, it would default to the array, until a headset is plugged into the jack, then it would switch to the headset's mic. Do I have to purchase a separate microphone with a USB plug in to the dock perhaps? In your first screen shot, "Microphone -- usb audio -- not plugged in", when selected as the default device would enable whatever analog microphone jack the replicator has, or headset jack if it has that instead of a separate mic jack. It does not mean that you have to connect a usb mic. It say "Microphone -- usb audio" because the laptop "sees" the replicator as a usb audio device. Hi again Jim. The Docking Station is a Dell Docking Station USB 3.0 Ultra HD 4K Model 3100. I have disconnected the Laptop from the docking station and checked the sound properties which do not show Realtek Audio device still, in fact no audio devices are showing in Device Manager even. It seems the speakers and microphone are simply not being detected by the system at all? Disconnected it is prompting me to plug in the audio devices and the only plug in I have is to external speakers connected to the Docking Station output. Could it be a BIOS problem perhaps? I am totally stumped. So after disconnecting the dock, you restarted the laptop, checked the sound properties, and there is nothing there, just blank? I have to log off now. 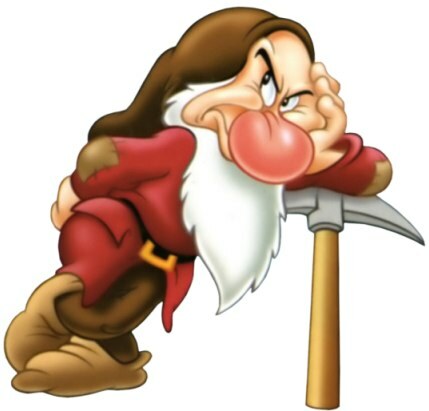 Will check back in the a.m.
Is the operating system Windows 10? About the BIOS, most Dell BIOS don't have a setting for audio, but some do, so check it and see. You could also check to make sure that Windows Audio Service and Endpoint Builder are on. Hi Jim running Windows 10 64 Bit as supplied with laptop. I did check the bios and there was settings for sound which appear to be correctly set. When I remove the laptop from the docking station there is no option for DELL Audio. However, I notice in my programs Tree Dell Audio appears under Dell as being installed. When I select it however, nothing happens. 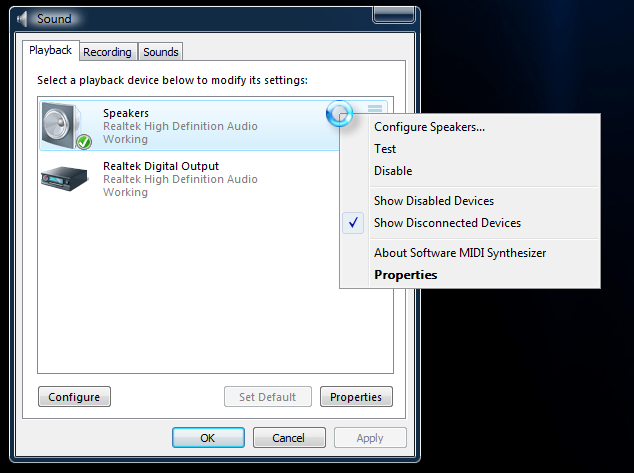 Realtek options do not appear in either playback or recording options? Finally I cant seem to locate where The Dell Docking Station shows, it does not appear to be in the Device Manager. Looking at this forum audio issues seem to be a common problem with Dell. I really cannot afford to send it back for service as my business programs are all loaded on it and are vital for my business. I did notice this warning symbol for Intel Audio this morning when I was checking Device Manager. What do you see in the Device Manager under Sound....Controllers? Looking at this forum audio issues seem to be a common problem with Dell. I don't know if Dell laptops have more or fewer audio issues than those of other manufacturers, but I wouldn't draw too many conclusions from the number of posts here about audio issues. This board, the Laptop Audio board, is solely for discussing audio issues with Dell laptops, so posts about audio problems are common. Having said that, as a person whose main interest in computers is their use in audio applications, I could wish that Dell placed a greater emphasis on preventing audio issues, and making their correction a high priority. Hi Jim. Have now updated BIOS to latest available. Still no change. Please see images for connected to Dock and Laptop alone re Device Manager. Notice no audio inputs when laptop only.